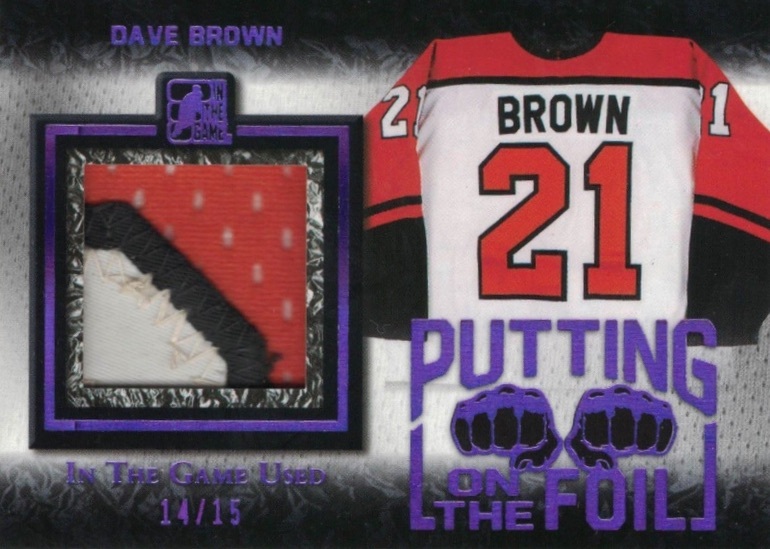 A popular set from the ITG days, 2017 Leaf In The Game Used Hockey continues the tradition of the memorabilia-only release. This includes a total of five quality relics in every box. Spread across multiple themes and designs, the 2017 Leaf In The Game Used Hockey checklist is not limited to just one era. 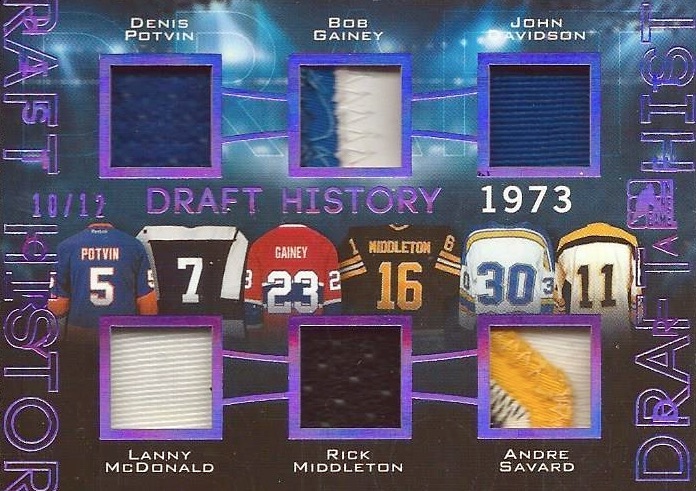 Collectors have their pick of multi-player and multi-piece relics featuring swatches from jerseys, gloves, sticks and more for budding stars and Hall of Fame icons. Working with hockey legends, Vintage Memorabilia obviously focuses on the past while Gloves Off! opts for a more specific approach. 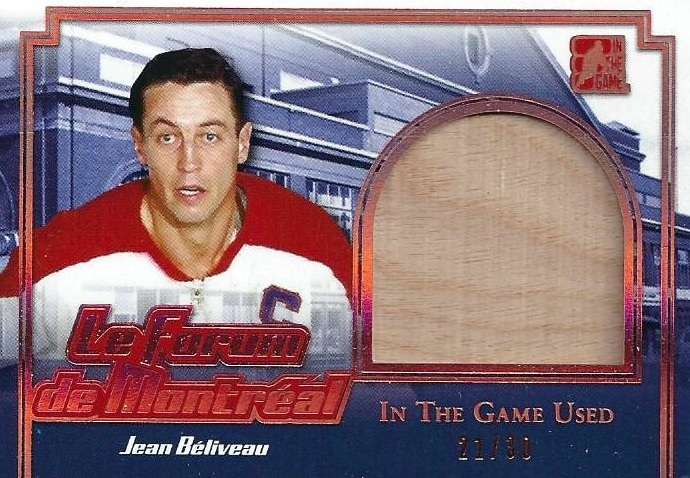 Adding in pieces of the seats from the Montreal Forum are the French-inspired Le Forum de Montreal inserts. 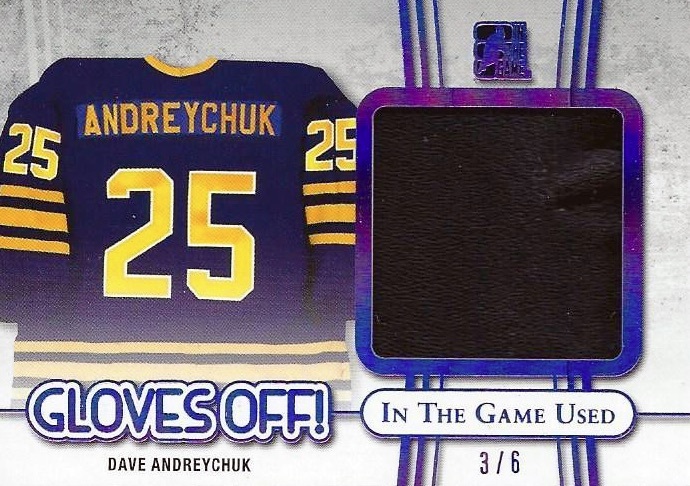 Putting on the Foil takes its inspiration from the on-ice menaces of the league. 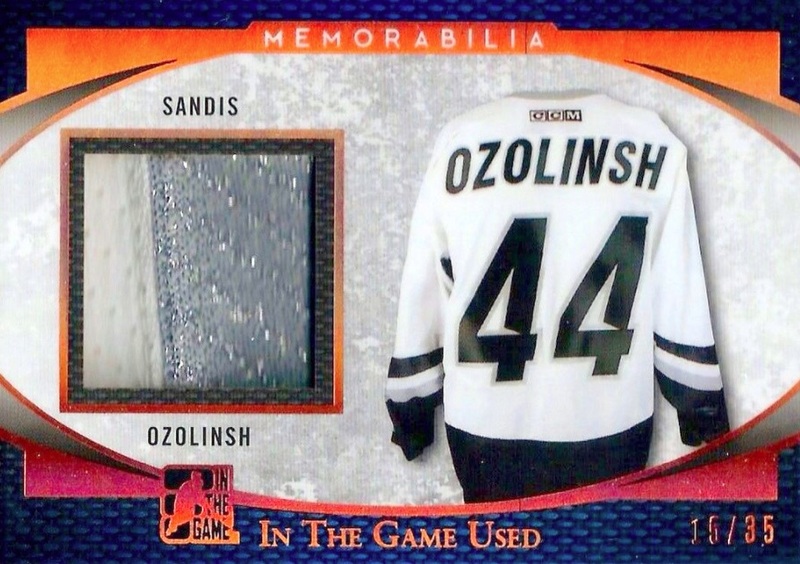 There are also the appropriately named Jumbo Patch and Game-Used Memorabilia sets. 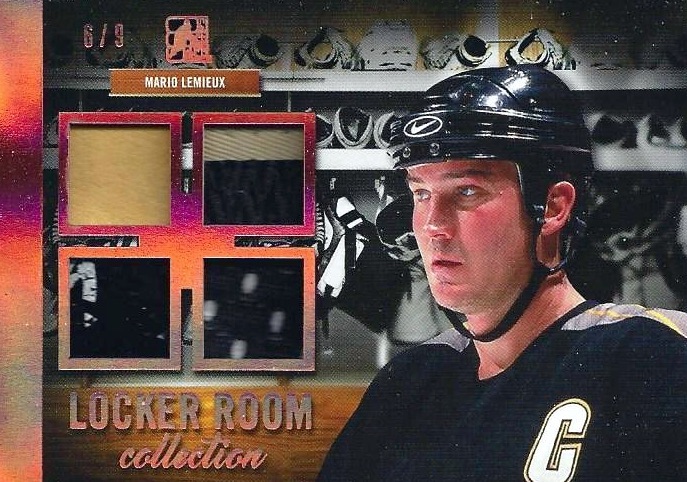 Bringing more to the table are the four-relic Locker Room Collection and eight-relic Rare Materials inserts. Although gear is king in 2017 Leaf In The Game Used Hockey, Game Used Auto offers an extra element for young stars like Jack Eichel, Nico Hischier and Nolan Patrick. 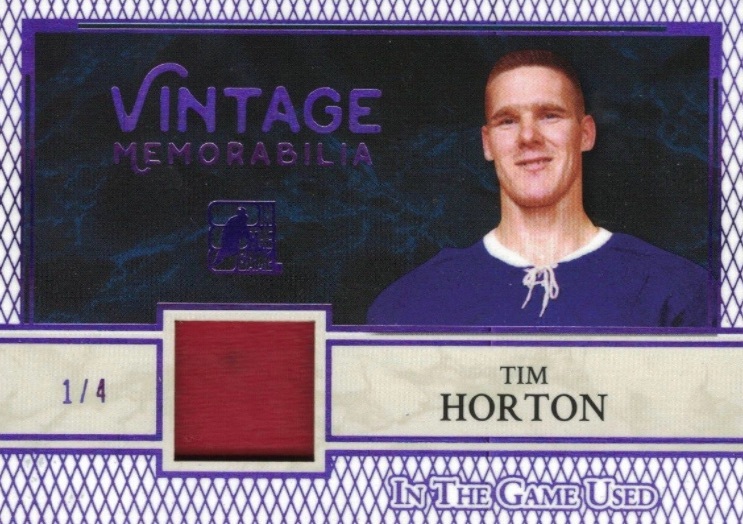 Moving to the options that showcase more than one player per card, 2017 Leaf In The Game Used Hockey includes Vintage Memorabilia Multi with two or more subjects. Draft History looks to one specific year with six different players, and Team 8s highlights players with a direct affiliation. 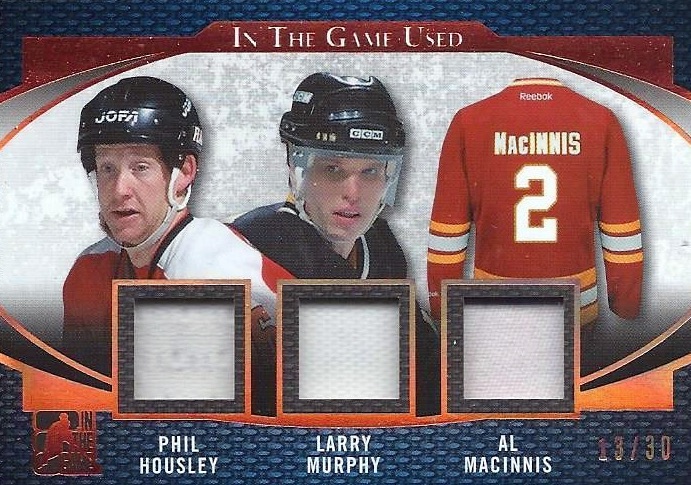 Collectors can also find Game Used Auto Multi cards for two or three-player combinations. 16 cards. Shop autographs on eBay. SPECTRUM FOIL PARALLELS: Purple #/12, Green #/5, Magenta #/4, Blue #/3, Silver #/2, Gold 1/1, Printing Plates 1/1. HISCHIER/PATRICK PARALLELS*: Purple #/20, Green #/15, Magenta #/10, Blue #/5, Silver 1/1, Printing Plates 1/1. 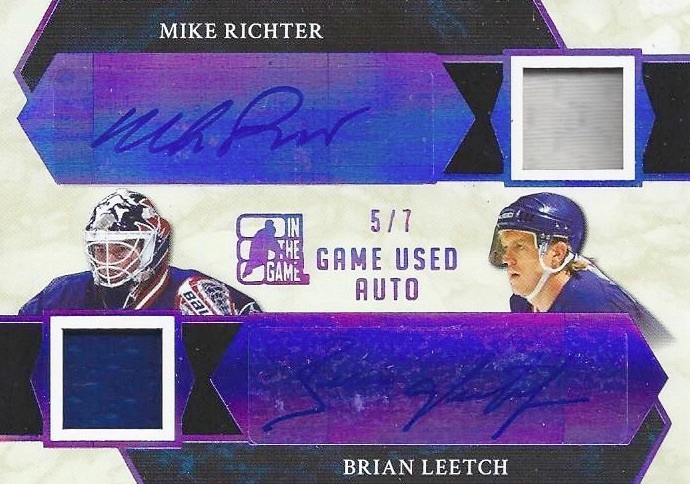 SPECTRUM FOIL PARALLELS: Purple #/6 (Leetch #/7*), Green #/5, Magenta #/4 (Hischier #/3*), Blue #/3 (Hischier #/2*), Silver #/2 (Hischier 1/1*), Gold 1/1 (No Hischier*), Printing Plates 1/1. LEMIEUX/JAGR PARALLELS*: Purple #/5, Green #/3, Magenta #/2, Blue #/2, Silver 1/1, Gold 1/1, Printing Plates 1/1. 5 cards. Shop on eBay. SPECTRUM FOIL PARALLELS: Purple #/3 (Card #3 - #/4), Green #/2 (Card #3 - #/3), Magenta #/2, Blue 1/1, Silver 1/1, Gold 1/1, Printing Plates 1/1. 14 cards. Serial numbered #/30. Shop on eBay. SPECTRUM FOIL PARALLELS: Purple #/12, Green #/7, Magenta #/5, Blue #/3, Silver #/3, Gold 1/1. 47 cards. Serial numbered #/35. Shop on eBay. SPECTRUM FOIL PARALLELS: Purple #/15, Green #/9, Magenta #/5, Blue #/3, Silver #/2, Gold 1/1. PATCH PARALLEL CARDS (#GUP): Bronze #/8, Purple #/6, Green #/5, Magenta #/4, Blue #/3, Silver #/2, Gold 1/1. 21 cards. Serial numbered #/30. Shop on eBay. SPECTRUM FOIL PARALLELS: Purple #/12 (Card #/10 - #/9*), Green #/7 (Card #/10 - #/6*), Magenta #/5 (Card #/10 - #/4*), Blue #/3, Silver #/2, Gold 1/1. PATCH PARALLEL CARDS (#GUP3): Base Bronze #/7, Purple #/6, Green #/5, Magenta #/4, Blue #/3, Silver #/2, Gold 1/1. 9 cards. Serial numbered #/30. Shop on eBay. SPECTRUM FOIL PARALLELS: Purple #/12, Green #/7, Magenta #/5, Blue #/3, Silver #/2, Gold 1/1. PATCH PARALLEL CARDS (#GUP4): Bronze #/6, Purple #/5, Green #/4, Magenta #/3, Blue #/2, Silver 1/1, Gold 1/1. SPECTRUM FOIL PARALLELS: Purple #/6, Green #/5, Magenta #/4, Blue #/3, Silver #/2, Gold 1/1. 28 cards. Serial numbered #/8. Shop on eBay. SPECTRUM FOIL PARALLELs: Purple #/4, Green #/3, Magenta #/2, Blue 1/1. 16 cards. Serial numbered #/30. Shop on eBay. 27 cards. Serial numbered 1/1. Shop on eBay. 6 cards. 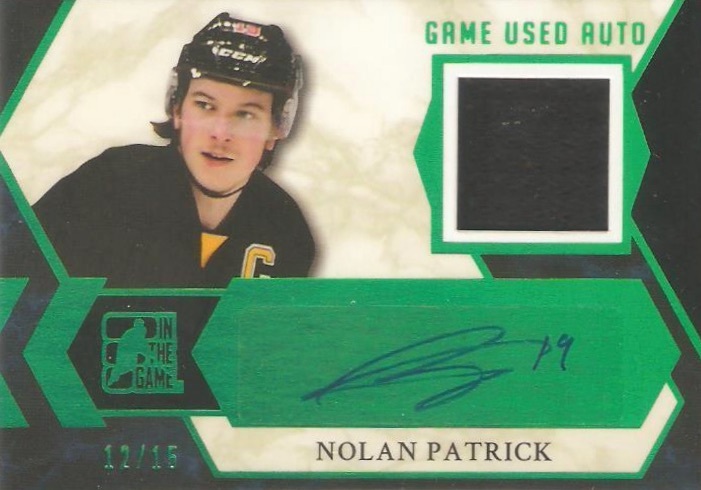 Serial numbered #/9. Shop on eBay. SPECTRUM FOIL PARALLELS: Purple #/15, Green #/9, Magenta #/5, Blue #/4, Silver #/2, Gold 1/1. BARRY BECK PARALLELS*: Purple #/7, Green #/5, Magenta #/4, Blue #/3, Silver #/2, Gold 1/1. SPECTRUM FOIL PARALLELS: Purple #/9 (Card #01 - #/6), Green #/5, Magenta #/4, Blue #/3, Silver #/2, Gold 1/1. 33 cards. Shop Vintage relics on eBay. 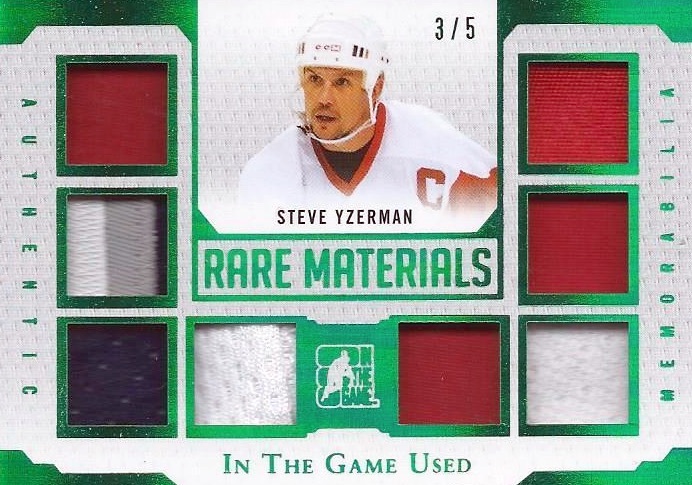 SPECTRUM FOIL PARALLELS: Purple #/7 or less (No Taylor, Vézina), Green #/5 or less (No Vézina), Magenta #/4 or less, Blue #/3 or less, Silver 1/1, Gold 1/1. *Cyclone Taylor, Georges Vézina only have 1/1 parallels. View specific numbering with the full spreadsheet. 18 cards. Shop Vintage relics on eBay. 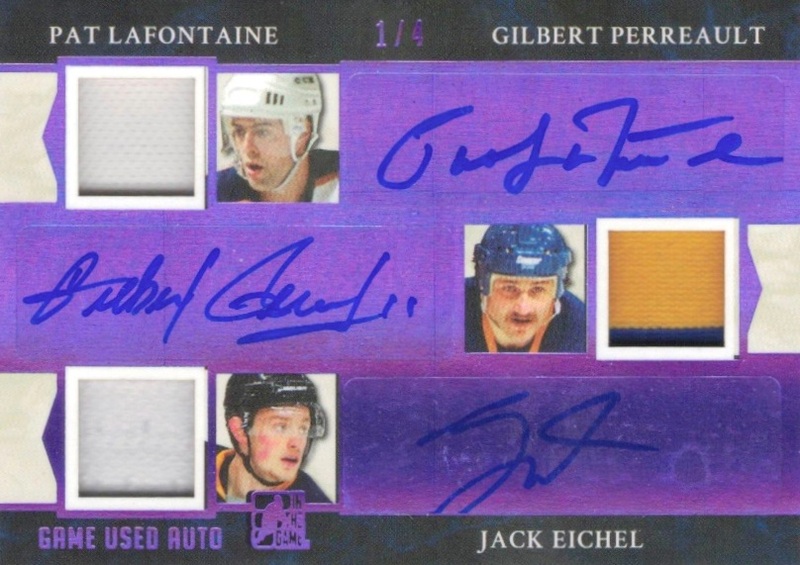 SPECTRUM FOIL PARALLELS: Purple #/5 or less, Green #/4 or less, Magenta #/3 or less, Blue #/2 or less, Silver 1/1 (Johnson/Laperrière - #/2), Gold 1/1. 10 cards. Shop Vintage relics on eBay. SPECTRUM FOIL PARALLELS: Purple #/5 or less, Green #/4 or less, Magenta #/3 or less, Blue #/2 or 1/1, Silver 1/1, Gold 1/1. 8 cards. Shop Vintage relics on eBay. SPECTRUM FOIL PARALLELS: Purple #/4 or less, Green #/3 or less, Magenta #/2 (Card #/5 - 1/1*), Blue #/2 or 1/1, Silver 1/1, Gold 1/1. *Card #04 only in 1/1 Blue/Silver/Gold parallels. View specific parallel numbering with the full spreadsheet. 4 cards. Shop Vintage relics on eBay. SPECTRUM FOIL PARALLELS: Purple #/3, Green #/2, Magenta 1/1, Blue 1/1, Silver 1/1, Gold 1/1. 7 cards. Shop Vintage relics on eBay. SPECTRUM FOIL PARALLELS: Purple #/3 (No #03,#7), Green #/2 (No #03,#7), Magenta #/2 (Card #03 - 1/1, No card #7), Blue 1/1 (Card #06 - #/2), Silver 1/1, Gold 1/1. *Cards #03, #7 found only in 1/1 parallels. View specific parallel numbering with the full spreadsheet. Does anyone know if this product is confirmed for Wednesday? I’ve heard conflicting reports that it is due to be released on the Friday (28th) for the national. Is it just me or are these cards not selling as well as they have in the past? I bought 2 boxes from my LCS. 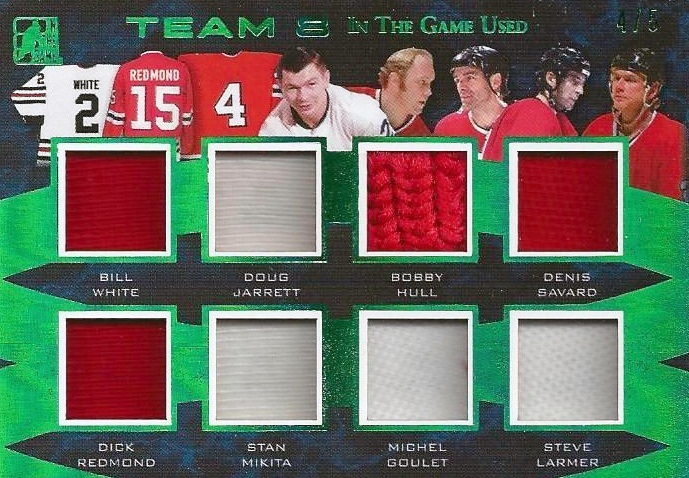 Hit a 1/1 Vintage Mem of Maurice Richard. Still one of my favorite products for the past three years.